AUA is an Eco-Friendly Campus. 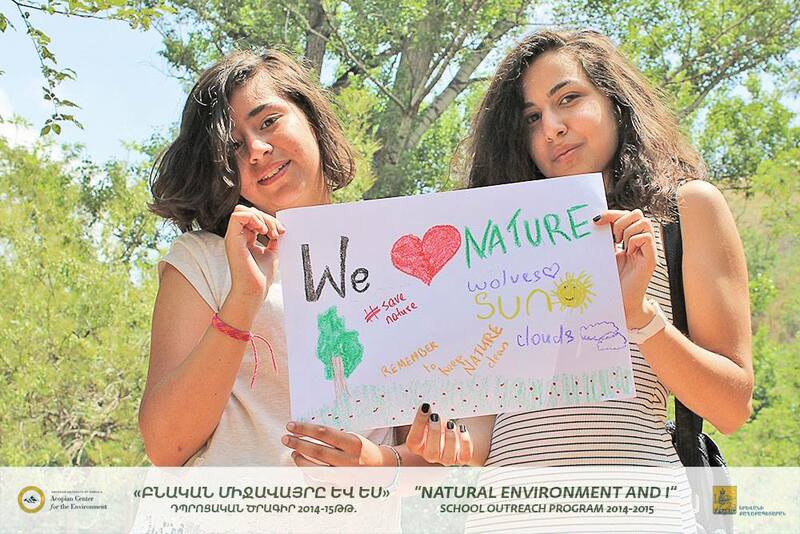 Six Yerevan Schools Complete AUA Acopian Center for the Environment’s “Natural Environment and I” Program. The aim of establishing the Environmental Education Network (EEN) is to contribute to the efforts of RA Government in promoting and ensuring environmental education at all school levels and at communities. 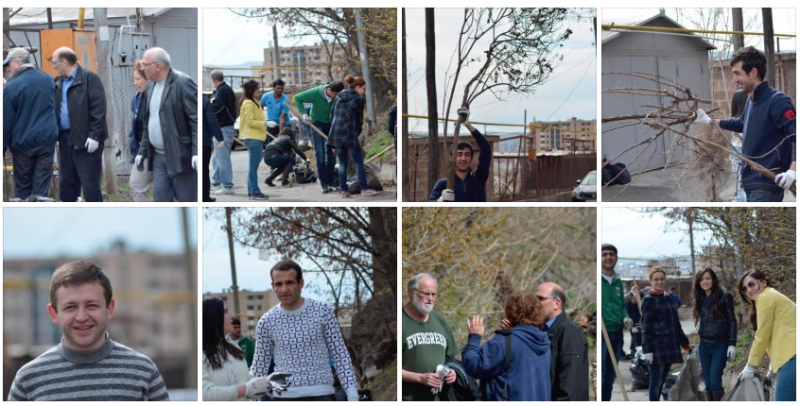 The Municipality of Yerevan and the American University of Armenia (AUA) Acopian Center for the Environment completed their first year of cooperation on a program called “The Edible Schoolyard Project”. 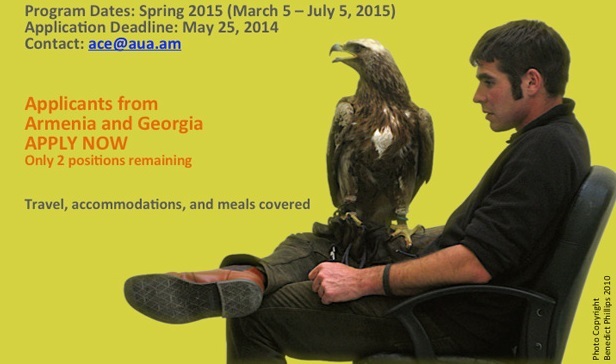 AUA Acopian Center for the Environment will be making recommendations for candidates to participate in the International Training Program at the Acopian Center for Conservation Learning at Hawk Mountain Sanctuary in Kempton, Pennsylvania. 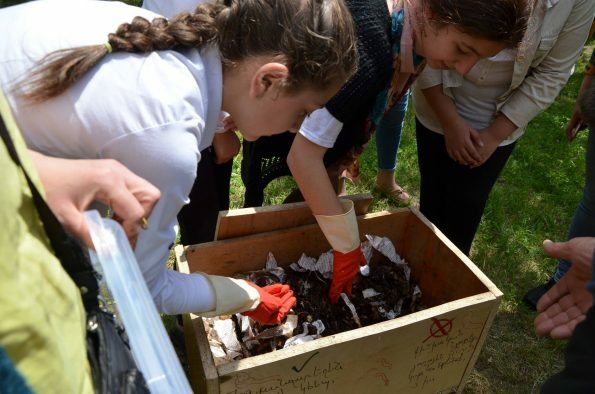 Duration:For the past year, the AUA Acopian Center for the Environment has been working with students from the “Mkhitar Sebastatsi” Educational Complex, organizing ecological and ornithological clubs for the students. 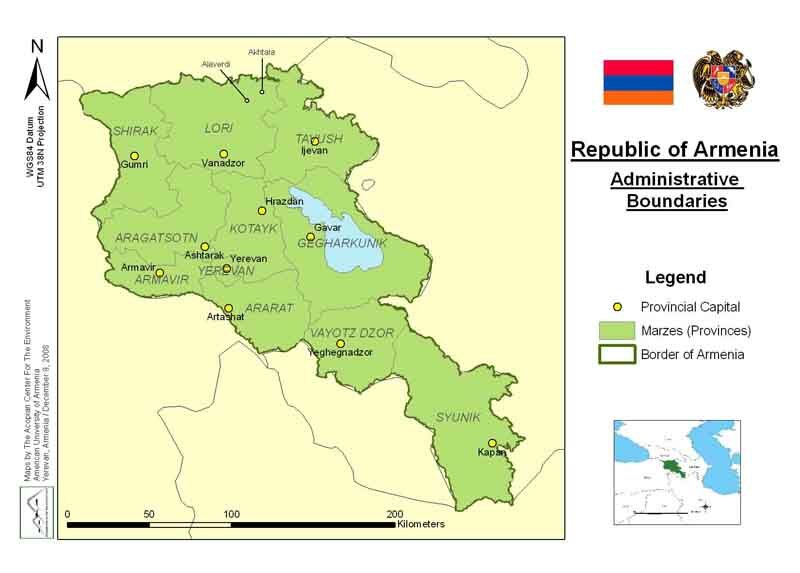 The AUA Acopian Center for the Environment produced the maps for the USAID Armenia Biodiversity Analysis Update Report compiled by ECODIT in December 2008.